Vitamin D is an essential, fat soluble vitamin that is absorbed in the body through a process that occurs when sunlight hits your skin. Because it's fat-soluable vitamin D is stored in the body for long periods of time. 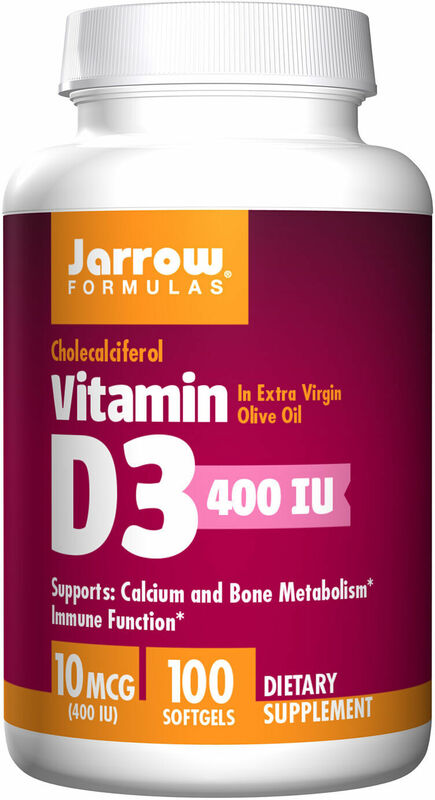 Vitamin D can refer to either vitamin D2 (ergocalciferol) and vitamin D3 (cholecalciferol). 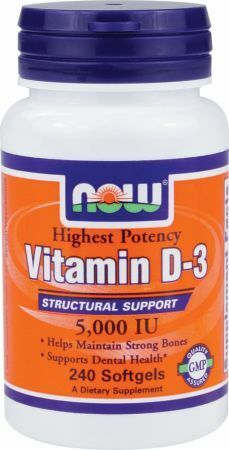 Vitamin D3 is the preferred vitamin D supplement. There are three main ways your body can absorb adequate amounts of vitamin D. The most efficient is from direct sunlight. 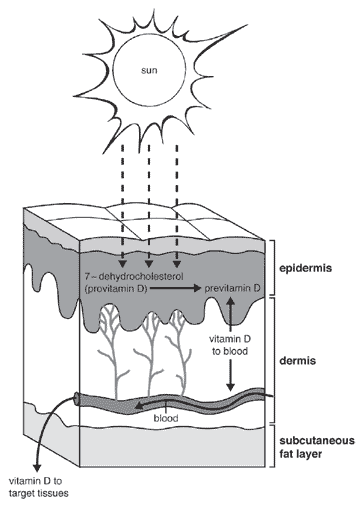 Ultraviolet rays from the turns a chemical in the skin into vitamin D3. It's then converted into an active form of D3 by the kidneys. 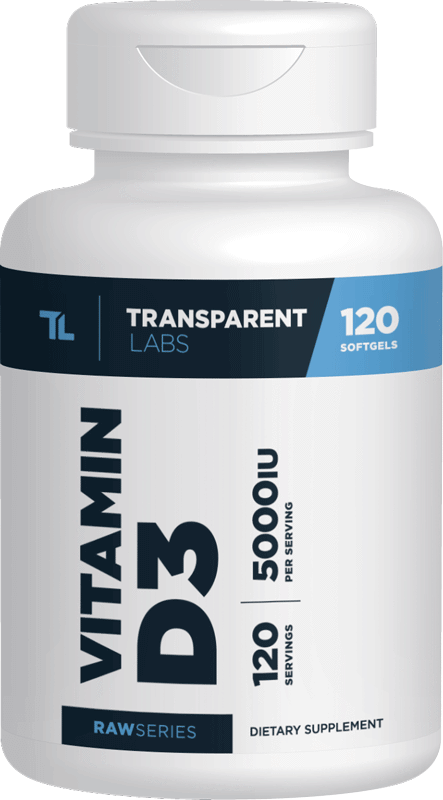 You can also get vitamin D through your diet, but taking a D3 supplement is most reliable since few foods contain sufficient amounts of the nutrient. There are two types of vitamin D. The most natural form, vitamin D3, is created in the body when UVB (ultraviolet B) rays from the sun strikes the skin. Even foods that are a rich source of vitamin D, such as fish, almost always contain D3. 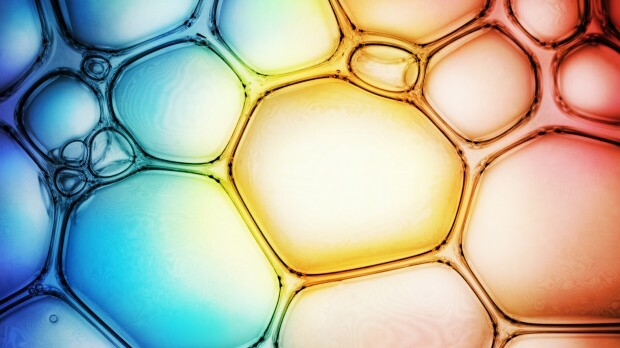 The body can't make vitamin D2 -- meaning, it's not a naturally occurring nutrient. 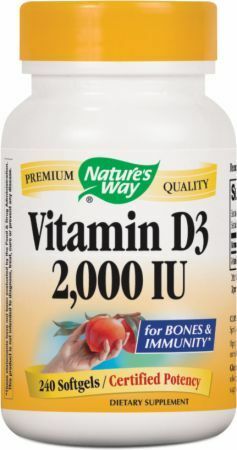 Another benefit of vitamin D3 is that it may be less toxic than D2, according Mark A. Moyad, MD, "higher concentrations of D2 circulate in the blood when consumed (compared to vitamin D3). [In addition, D2] does not bind as well to the receptors in the human tissues compared to vitamin D3." 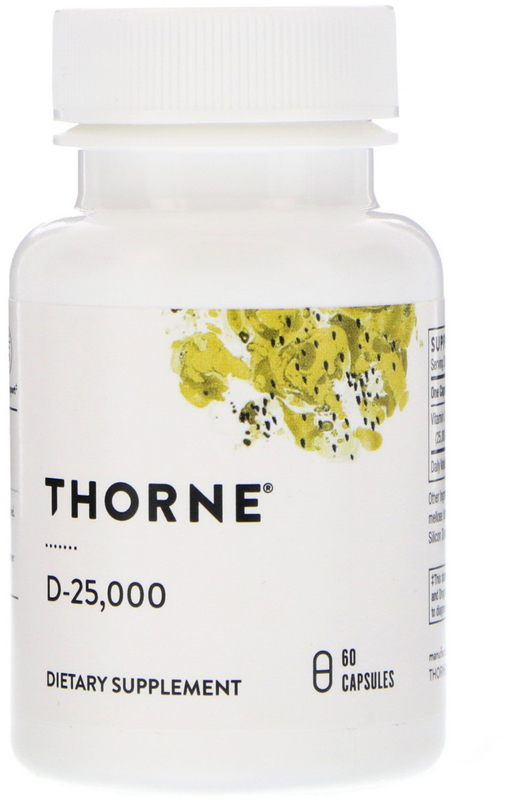 Vitamin D3 is more potent and stable than D2. Of the two, D3 stays active and circulates in the body longer. 75% of kids and adults are deficient in vitamin D.
According to the Office of Dietary Supplements, it takes just a few minutes of unprotected exposure to the sun to get your RDA of vitamin D. "It has been suggested ... that approximately 5 to 30 minutes of sun exposure between 10 a.m. and 3 p.m. at least twice a week to the face, arms, legs, or back ... usually lead to sufficient vitamin D synthesis." Vitamin D3 is naturally present in very few foods and is added to others. The Food and Nutrition Board (FNB) has established dietary reference intakes (DRI) indicating how much vitamin D3 you should take based on different variables. The recommended daily allowance (RDA), is "the average daily level of intake sufficient to meet the nutrient requirements of nearly all healthy people," according to the Office of Dietary Supplements. Few foods are a natural, rich source of vitamin D3. Foods that do provide significant amounts of the nutrient are typically fortified. Eggs: the yolk of one large egg contains about 41 IUs per serving. Cod liver oil: 1 tbsp. contains 1,360 IUs. Salmon: 3oz of cooked salmon contains 447 IUs. Tuna: 3oz of tuna canned in water contains 154 IUs. Beef liver: 3 oz of cooked beef liver contains 42 IUs. Cheese: 1oz of Swiss cheese has 6 IUs. Orange juice: 1 cup is fortified with about 137 IUs of vitamin D. Since vitamin D levels can vary between brands, be sure to read the label. Margarine: 1 tbsp. of margarine is fortified with 60 IUs of vitamin D3. Cereal: from 3/4 to 1 cup of boxed cereal contains about 40 IUs of D3 -- about 10% of the recommended daily allowance. If you wear sunscreen, don't get out in the sun often, have dark skin, or cover up when in the sun, you could have a vitamin D3 deficiency. Women who breastfeed, obese people, and older individuals also have difficulty getting adequate amounts of vitamin D via ultraviolet B rays. If children don't get enough vitamin D, they could develop rickets (soft bones), which can stunt their growth. Adults who don't get enough vitamin D are at risk for brittle bones diseases. Vitamin D deficiency may be connected to depression because brain and nerve tissue have vitamin D receptor cells. To determine whether you have a vitamin D3 deficiency, talk to your doctor about getting a blood test. Because there are few significant vitamin D3 deficiency symptoms, it's important to talk to your doctor about ways to ensure you're getting the RDA of the nutrient. 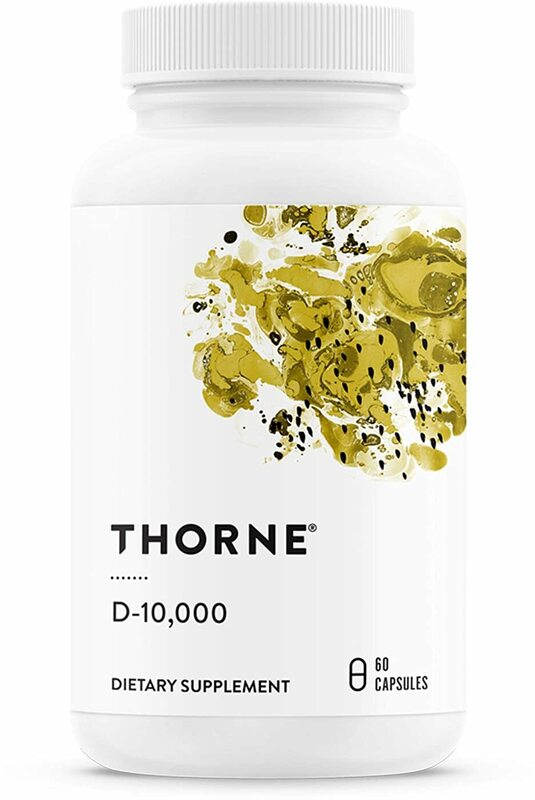 Taking excessive amounts of vitamin D can also raise calcium blood levels, which can cause tissue and vessel calcification, and damage to the heart, kidneys, and liver. The good news is that the body can't produce too much vitamin D. There is no risk for vitamin D toxicity from sun exposure. Please note that this is not an exhaustive list of medications that can interact negatively with vitamin D3. 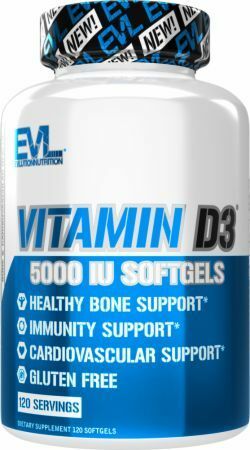 Consult your doctor regarding possible interactions between vitamin D3 and other medications. Interactions may affect how a medication works or cause unwanted side effects. Check product labels (prescription and over-the-counter). If they have calcium, magnesium, phosphate, or vitamin D, ask your doctor or pharmacist how to safely use them. 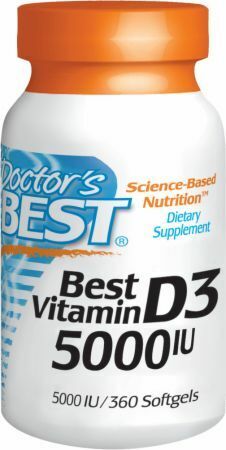 It's best to take vitamin D3 (cholecalciferol) after you eat. Vitamin D3 can be taken on a empty stomach or with food. Allergic reactions to vitamin D3 are not likely, but if you develop a rash, swelling, dizziness, problem thinking clearly, irritability, boosted urine output, itchiness, have trouble breathing, or experience any other troubling symptoms, get medical assistance immediately. Let your doctor or pharmacist know if you have high calcium and vitamin D levels, malabsorption syndrome, electrolyte imbalance, heart disease, liver disease, or kidney disease before taking vitamin D3. 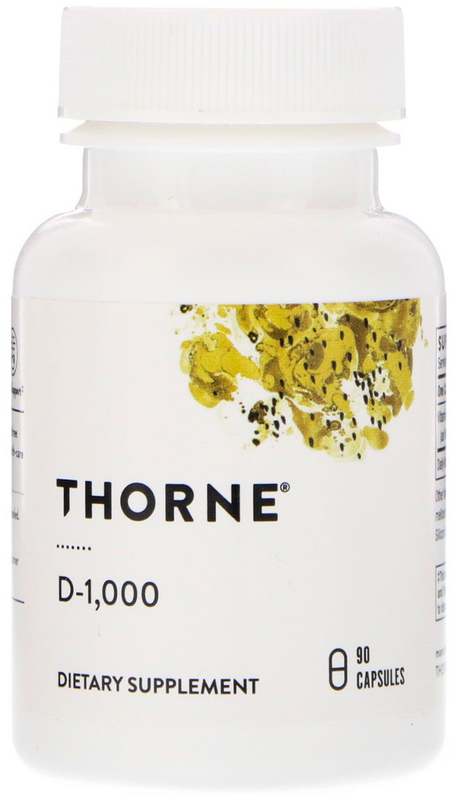 If you are pregnant or breastfeeding, don't take excessive amounts of vitamin D3 without first consulting your physician. Let your doctor know all the medications you are taking whether prescription or over-the-counter. Don't start on a new medication without discussing it with your doctor. Supplements are not strictly regulated by the government, so there is no guarantee that they are safe or will do what they are supposed to do. 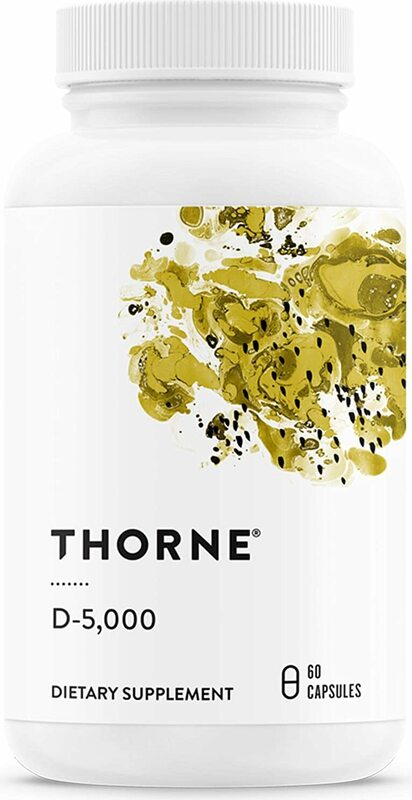 Supplements can act like drugs when taken in high doses. Read all directions and use with care. 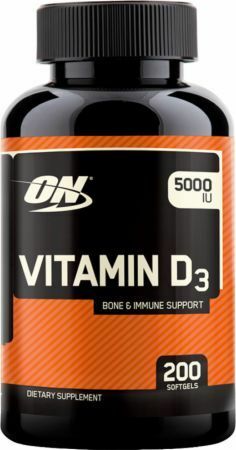 Although we do not sell vitamin D, you can compare brands and prices here on PricePlow. WebMD; "Cholecalciferol (Vitamin D3) Oral"
The Vitamin D Council; "What Is Vitamin D Deficiency?" Drugs.com; "Vitamin D3 Side Effects;"
MTS Nutrition Vega-D3 was created. 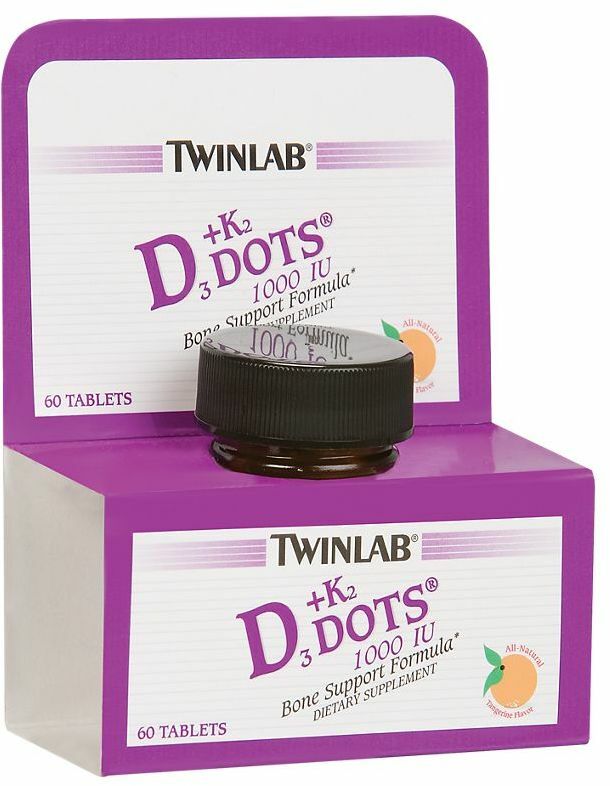 Twinlab Allergy D3 Caps was created. 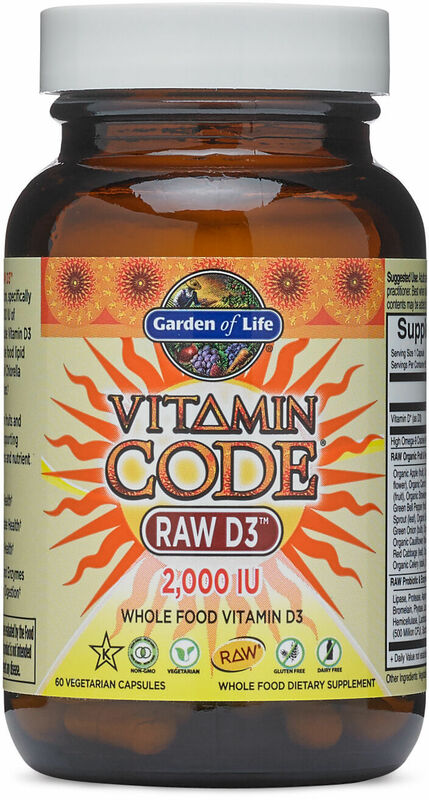 Natural Factors Vitamin D3 & K2 was created. 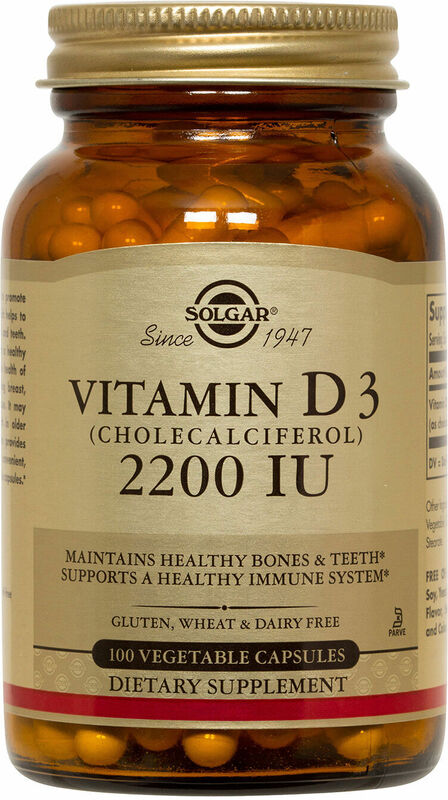 Solgar Liquid Vitamin D3 was created. Nature's Bounty D3 was created. Hero Yummi Bears Vitamin D3 was created. Sign up for future Vitamin D3 news! 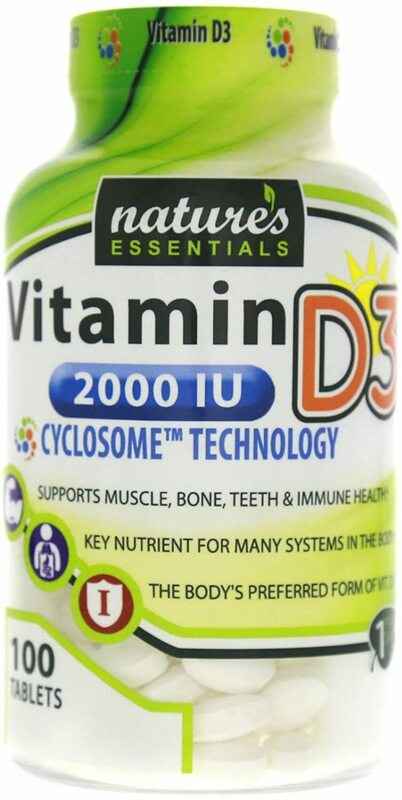 Click the button below to sign up for future Vitamin D3 news, deals, coupons, and reviews! Sign up for future Vitamin D3 deals and coupons! 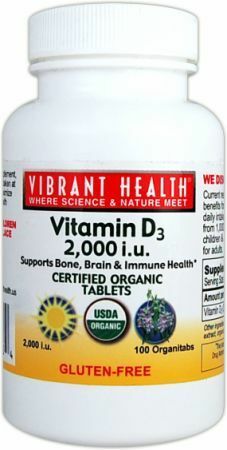 Click the button below to sign up for future Vitamin D3 deals, news, and coupons! Subscribe for more Vitamin D3 news and alerts! Subscribe to PricePlow on YouTube or click the button below to sign up for our latest Vitamin D3 news and reviews! $12.58 This is a Buy 1 Get 1 FREE offer! Where Science & Nature Meet! $12.92 This is a Buy 1 Get 1 FREE offer!